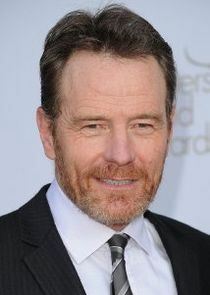 A drama series that follows the story of Walter White (Bryan Cranston), a struggling high school chemistry teacher with an advanced lung cancer who turns to a life of crime, producing and selling methamphetamine with a former student, Jesse Pinkman (Aaron Paul), with the aim of securing the financial future of his family before he dies. Stars Emmy Award winning actor and nominated Globe Golden Awards Best Actor Bryan Cranston, Best Supporting Actor Aaron Paul, Anna Gunn, Dean Norris, Betsy Brandt, RJ Mitte, Bob Odenkirk, Giancarlo Esposito and Jonathan Banks. The series have won seven Primetime Emmy Awards and nominations from various award giving bodies including Golden Globe and Screen Actors Guild.